When we think about great direct mail results, we tend to think about the list, the message, and the call to action. However, things like the size, shape, and texture of the piece play a key role, too. 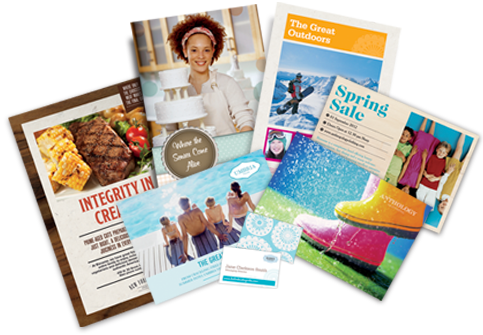 Let’s look at five considerations for creating standout mail pieces. One of the great things about direct mail is the many ways it engages the senses. This is something that cannot be replicated in the digital world and continues to make print an indispensible piece of the marketing puzzle. Here are 5 “dimensions” of print that you can use to engage and delight your audiences. Meet Andy, our production manager and jack of all trades. He’s the guy that keeps all the plates spinning around here. He handles each project with a sense of urgency and care. Meet our Graphic Designer, Stacey Baker. She is a wizard of design software and a creative powerhouse, keeping our in-house design services trendy and innovative. Meet Daniel, our amazing press operator. He’s the best ink slinger this side of the Mississippi. Daniel’s upbeat attitude and extensive knowledge of printing is a huge asset to RiverCity and our customers. This is our Customer Service Representative, Michael Priest. He works hard to insure that your order is quoted, processed, and produced in a way that fits your needs and deadlines. Consumers love to hear how they can get the most out of their money. It is a great marketing tactic, and it is no different when it comes to your marketing budget. Here are a few ways get the most bang for your buck. Marketing to businesses is not like marketing to consumers. Especially when marketing to larger companies, you typically cannot send one mailer to reach an entire account or communicate with a single decision-maker by email. If your company has high levels of customer satisfaction, they are likely to remain loyal, right? Wrong. In a customer satisfaction study of 10 major industries, an average of 72% of respondents indicated that they were highly satisfied with the products or services received. Yet 88% of the customers surveyed said that they were willing to switch providers for any reason! A logo is the most visible graphical representation of a company. It provides an anchor for the visual elements in all of your other marketing materials, and when associated with an excellent product or service, it can carry goodwill and brand awareness. Conversely, if your logo has low brand recognition or a dated look, it’s time to consider a redesign. Your mailing list is the lifeblood of your marketing efforts. How much time do you spend maintaining it? What Is Your Print Project Wearing? Are You Ready for Smartphone-Dependent Consumers? Want to Go Big? Go Wide!